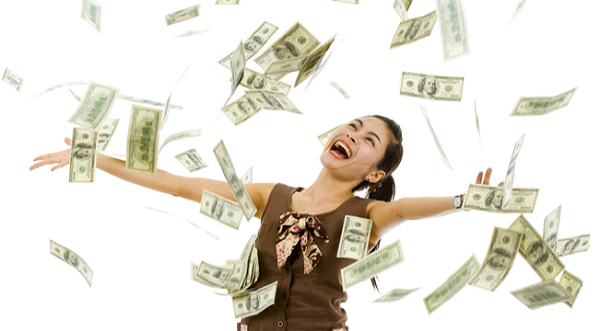 You’ve won the Florida Lottery! Now it’s time to put on your thinking cap, get away from the day-to-day traffic, and cruise your dream car to your ideal vacation destination. Remember, the sky’s the limit! Here are a few suggestions on what vehicles and vacation spots could fulfill your lifelong fantasies. If you’re single, there’s nothing stopping you from buying the number one car of your dreams – the Lamborghini Aventador LP 700-4, the masterpiece of mid-engined sports cars. It goes from 0 to 60 in 2.9 seconds, has a 7-speed, semi-automatic, single clutch transmission and an all-wheel drive system that is new and electronically controlled! You’ll want to take this masterpiece on a signature vacation – in fact, somewhere where heads will turn in amazement as you emerge from your vehicle via its signature scissor doors. Now it’s time to head to the hills – Beverly Hills, that is – swimming pools, movie stars, and luxurious comfort await you! Book a suite at the Hotel Bel-Air, Beverly Wilshire, or the Montage Beverly Hills. By night, enjoy living the life of a sultan – only the most exquisite food, drinks, and nightlife – and by day, take some glorious day trips to Venice, Santa Monica, and Baja. Go shopping at the most exclusive stores and boutiques on Rodeo drive, and have the vacation of your life without worrying about the cost! If you’re married, with a family that loves to go off-road, you might consider a Toyota 4Runner TRD Pro. Because of its flexible coil-linked rear suspension, and its size, this vehicle has serious off-road capability, plus outstanding performance on street driving. The Pro’s suspension has been replaced with higher Eibach coils and reservoir remote Bilstein shocks, giving one additional inch wheel travel at either end. It also boasts all-terrain tires by Nitto Terra Grappler which provides maximum traction off road or on. This vehicle could be driven down to Chile and back with a minimum of problems, since it’s been designed to run well even with infrequent oil changes and wet spark plugs. Your family would enjoy some expedition-style off-roading in this vehicle. Our first vacation recommendation is a trip down the Mojave Road, a 140 mile trail stretching from Newberry Springs, California, to Bullhead City, Arizona. Or how about driving the 800 mile loop starting from Las Vegas, heading northwest up to Death Valley, and crossing through the Mojave National Preserve? Stay at the Furnace Creek Resort, a gem of a place – orange tile roofs and stucco – set in the middle of a fantastic garden of fan palms and dates, right next to a pool that is warm-spring fed. There’s plenty of fun stops close by, including the Calico Ghost Town. Death Valley National Park, and the Goldwell Open Air Museum. If neither of the above scenarios appeal to you, there’s a thousand different vacation getaways and fabulous vehicles to pair up and get away from your everyday life and the local traffic. 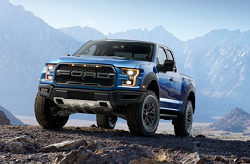 How about hopping into a new Ford F-150 Raptor? Made of military grade, high strength aluminum alloy, the 2017 model weighs 500 pounds less than previous models, and has an all new torque on demand, four wheel drive transfer case, a ten speed automatic transmission, and a Terrain Management System which lets the driver choose from 6 preset modes in order to optimize the driving dynamics to particular environmental conditions. Settings include Baja, mud, sand, and street. Combine this beast with a long vacation visiting everywhere you’ve always wanted to visit in the USA!